JEROME ROSE, hailed as "the Last Romantic of our own age" and one of America's most distinguished pianists, has been heard in major concert halls across five continents. A Gold Medalist from the International Busoni Competition, Mr. Rose began his international career while still in his early twenties. 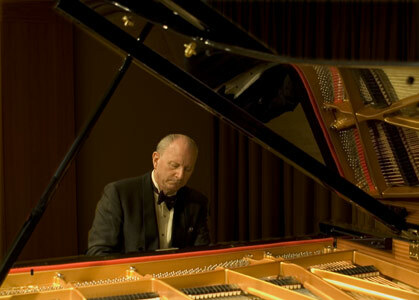 His catalogue of critically acclaimed recordings on Medici Classics includes the Liszt Concerti with the Budapest Philharmonic, Liszt's Transcendental Etudes, the Complete Schumann Sonatas, "Davidsbundlertanze", and "Kreisleriana", the Last Three Beethoven Sonatas, and the Complete Ballades & Fantasy of Chopin. In addition, on Medici Classics are the Schubert Posthumous Sonatas and Wanderer Fantasie; a Liszt album featuring the B minor Sonata, Don Juan Fantasy and Mephisto Waltz; and a Brahms recording of Sonata No. 3, and the Variations and Fugue on a Theme by Handel. Medici has also issued the re-release of Mr. Rose's Prix du Disque recording of Liszt's "Years of Pilgrimage". In 2015 a Liszt 40th Anniversary Collection was released in a 3 CD box set featuring some works not previously issued on CD. In 2017 the complete Chopin Sonatas, originally released on Sony, were re-issued on Medici Classics. In 2017 Medici also re-issued a CD recording of the "Moonlight", "Pathétique", and "Appassionata" Sonatas of Beethoven. Medici Classics has also released Mr. Rose’s first DVD recordings, highly acclaimed by the international press: The Four Ballades and Sonatas No. 2 and 3 of Chopin; the Sonatas of Beethoven, Opp. 101, 109, 110, and 111; an all-Schumann DVD: Humoreske, Fantasie, and Carnaval; an all-Liszt DVD recording including the Sonata, Bénédiction, Funérailles, Petrarch Sonnets, and Vallée d’Obermann; an all-Schubert DVD of the Last Four Sonatas; an all-Brahms recording of Sonata No. 3, Klavierstücke, Rhapsodies, Fantasies and Intermezzi (DVD and Blu-Ray); a second all-Schumann recording (Blu-ray) including Kreisleriana and Davidsbündlertänze. A second Beethoven recording was also released including the "Pathétique", "Moonlight", "Waldstein", "Appassionata" and "Les Adieux" Sonatas. Also released in 2015 is "The Artist at Home" featuring performances of selected works of Chopin and a Profile of Jerome Rose in Conversation with David Dubal. In 2017 the online lecture: "A Libretto to the Liszt Sonata" was released. 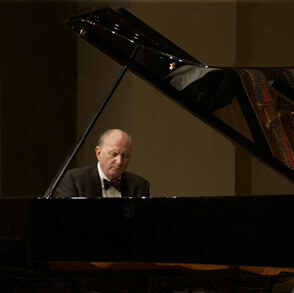 Mr. Rose's recordings of Franz Liszt for Vox were awarded the Grand Prix du Disque from the Liszt Society of Budapest, and the Ministry of Culture of Hungary conferred on him the Franz Liszt Medal for organizing the comprehensive Liszt Centennial Celebration in Washington D.C. in 1986. Previously, he served as the Artistic Director of the International Festival of the Romantics in London, and the Schubert and Brahms Festival at the Library of Congress. Jerome Rose has appeared with such orchestras as the Berlin Philharmonic, Munich Philharmonic, Vienna Symphony, and Santa Cecilia, Rome. A frequent visitor to London, he has appeared with the London Philharmonic, London Symphony, and the Royal Philharmonic. In addition he has been soloist with major U.S. orchestras including the Chicago Symphony, San Francisco Symphony, Houston, Baltimore & Atlanta. Conductors include Sir Georg Solti, Wolfgang Sawallisch, Sir Charles Mackerras, Stanislaw Skrowaczewski, Sergiu Comissiona, David Zinman, Hans Vonk, Robert Spano, and Christian Thielemann. He was a pupil of Adolph Baller when, at the age of 15, he debuted with the San Francisco Symphony. A graduate of the Mannes College and the Juilliard School of Music, Jerome Rose studied with Leonard Shure and Rudolf Serkin at Marlboro. In 1961 he was a winner of the Concert Artists Guild award and was also a Fulbright Scholar in Vienna. Mr. Rose has given masterclasses at the Paris Conservatory, Moscow Conservatory, Chopin Academy in Warsaw, Salzburg Mozarteum, Munich Hochschule, Toho Conservatory in Tokyo and Escuela Superior de Musica Reina Sofia in Madrid. He is on the Faculty of the Mannes School of Music, and is Founder/Director of the International Keyboard Institute & Festival held every summer in New York City. 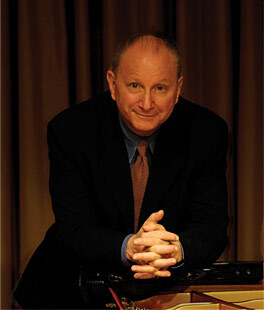 Mr. Rose’s performances at the Festival have been recorded by WFMT Chicago and NPR for worldwide radio broadcast. Mr. Rose has served on the Faculties at the Ecole Normale de Musique in Paris, the Tel-Hai Festival in Israel, and the Duszniki Chopin Festival. 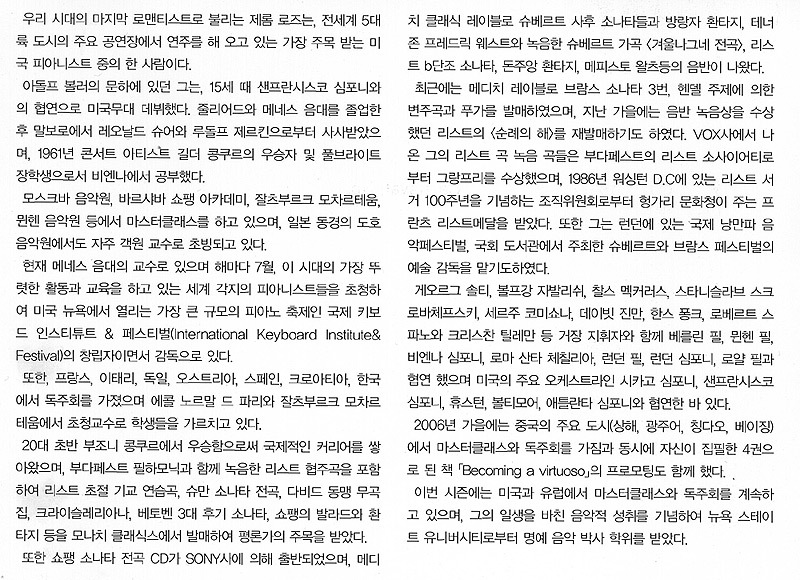 He is also in demand as a juror at international competitions including the Busoni (Italy), E-Competition (USA), Beethoven & Schubert (Germany), Liszt (Netherlands), Hamamatsu (Japan), Santander & Maria Canals (Spain) and Chopin (Poland) Competitions. He has toured major cities in China, giving recitals, masterclasses and promoting his 4 volume book "Becoming a Virtuoso". Last season included classes and recitals in the US, Germany, Italy, Madrid, Paris, and Yerevan, Armenia. This season includes performances and classes in the US, Germany, Italy, and China. Mr. Rose was awarded an Honorary Doctorate in Music from the State University of New York for his lifetime achievement in music.